As I explained in my final post, Poires au Chocolat will now function as an archived 'book' of recipes instead of an updating blog. 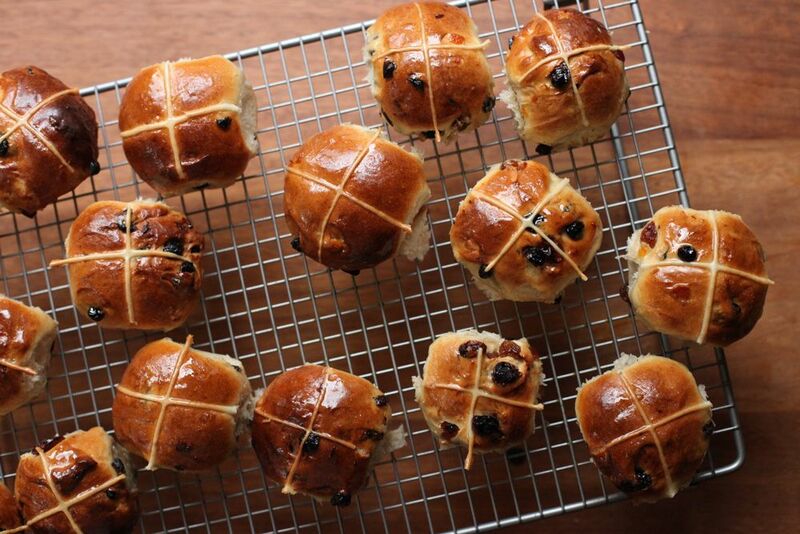 I've picked my 20 favourite posts to form a homepage of sorts (I didn't use the ones already in the sidebar, but they would definitely be included), starting above with Hot Cross Buns v.4. After that, the Recipe List is the next place to look and will lead you to just over 150 recipes (I've edited the list down to ones I trust from over 300 in total). 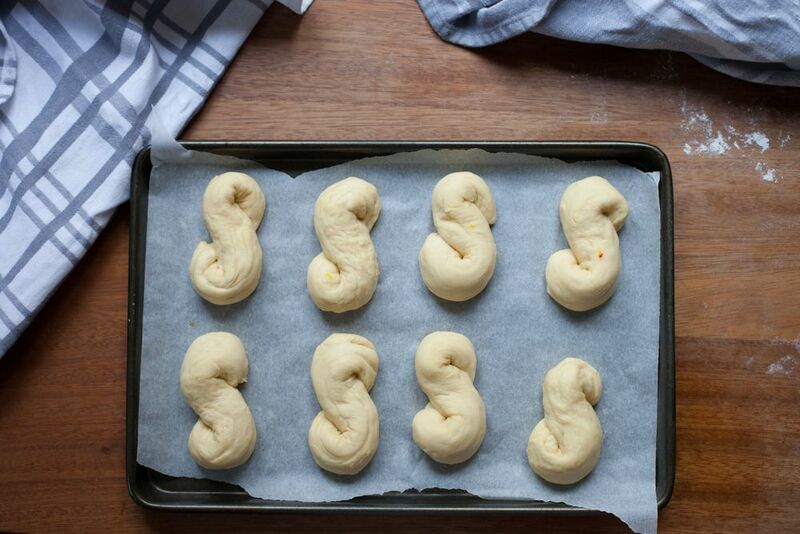 The Foundations Index also lists all of the foundations posts, from how to make brown butter or meringue to dealing with yeast. I hope you'll still enjoy making the recipes and reading the posts, and thank you again for the years of support. I'm sorry it's taken me a few extra weeks to post. I've been very busy - though very happy and content - with my new life in Cambridge and I wanted some space to think. The truth is I don't have enough time to blog. I can't cut corners and spend less time on things like testing and editing - it would feel so wrong and I can't bring myself to do it. Over the past few years I've approached this as a (much beloved) professional piece of work and as a result, blogging doesn't feel like relaxing time off. There's no finish line for a blog - no deadline or obvious point to retire - so it's difficult to work out when to let go, but I know that I want to finish on a high, feeling proud of Poires. My plan is to turn the site into something that functions more like a book than an updating blog. One of the most exciting things about this is that I get to revisit the recipes myself - there's so little time to go back when you're always working on new content. If they need it, I'll edit any recipes I retry, so the site won't be completely static. Poires is not disappearing or being forgotten - it's just time to retire from the week-to-week work. This little corner of the internet is very important to me. I've learnt and gained so much from the last five and a half years. It's hard not to sound cheesy and I really don't know how to convey how I feel... but it's been wonderful. Thank you. You know how sometimes you meet someone and it feels like you've known them forever? When you sidestep the slightly awkward beginning of a friendship and immediately feel easy and relaxed? It was like that when I met Erin. At the time of that first visit to California, Erin had just got her book deal and was about to begin writing. I was at the beginning of my will-I-won't-I book saga and so we talked a lot about the whole process. It feels crazy that I can now, over two years later, hold her book in my hands. It's called Yummy Supper after her lovely blog and it came out a few days ago. Last spring Erin let me test a few of the recipes. I tried the poached eggs with greens and hash browns (p.27), spring omelets (p.22) and the brown butter almond tea cakes (p.205), which were all delicious. I was also sent this recipe. When it first popped into my inbox, I was a bit apprehensive. I've nurtured a lifelong love for crêpes and they're one of my favourite things to make and eat. But millet? I'd never bought it or eaten it before and I had to go to a health food shop to find it. I'm also rather wedded to wheat flour and don't like several of the alternative flours (rice flour being my particular enemy). Then, when I actually made the batter, it smelled different. Unidentifiable. Yet once I'd eaten one, I immediately asked if I could write about the recipe once the book was out. There's something really lovely - sort of nutty, but hard to describe - about the flavour and the slightly nubby texture is wonderful. The combination of maple syrup and crème fraîche makes them sing and is my favourite topping by far. They may not be my classic crêpes, but they're definitely worth trying. They are slightly harder to handle as they tear easily. Having said that, if you're relatively happy making normal crêpes/pancakes it shouldn't take long to figure out how to cope. Making them in a small pan makes it easier. I'm interested to see what other types of crêpe you could make using this method (blasting the millet in a processor with some of the milk before adding the other ingredients). Oat? Nut? Tip the millet into a sieve then wash under the tap. Scrape into a food processor and add half the milk. Blast for a minute (I time this as it's always longer than I think). Scrape the sides down then give it another 30 seconds or so - you should have a thin gritty mush. Place the butter into a small pan and melt (you can keep going and make brown butter if you fancy). Add the rest of the milk along with the butter, egg, maple syrup and salt. Blend for 2 minutes until smooth. Scrape into a jug and chill for at least 30 minutes and up to two days. Place a small 6" or 7" skillet or frying pan over a medium-high heat. When it is properly hot (hold your hand a few inches above the centre - you should be able to feel the heat), turn the heat down to medium. Add a little piece of butter to the pan and move it around as it sizzles so that it coats the bottom of the pan. Stir the batter throughly then pour a splash into the pan, tipping it so it coats the bottom (Erin suggests 2 tbsp batter - I've been doing it by eye). Once the edges start to brown, loosen the sides and flip carefully. Cook for another minute or so then slide out onto a plate and serve immediately. 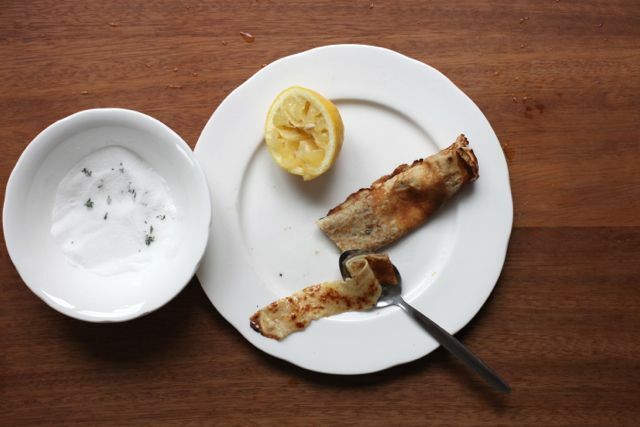 Stir the batter and add a little nugget of butter to the pan before making each crêpe. Any remaining batter keeps for two days (overall, including your original rest). On the night of the Guild awards, mum and I booked an early table at Honey & Co. A particularly fantastic dessert - a just-set milk pudding topped with syrupy poached peaches and rose - and the meal in general affirmed that I definitely needed to buy a copy of their book, which came out two weeks later. The day I received it, I went straight into the kitchen to try out the honey parfait. If you don't have lolly moulds the book suggests making cones out of greaseproof paper and propping them up in the freezer. I made some out of my favourite foil lined parchment (it's stiffer, which I thought would be useful), using the technique for making paper piping bags but securing them with a staple. I didn't have any lolly sticks either so I used some cotton thread to secure a few chopped up pieces of wooden skewer together. Though I enjoyed the honey flavour, the texture and technique were the things that really captured me. To play with the technique, I decided to try substituting the honey. I toyed between caramel and maple syrup before, predictably, picking caramel. The only problem with caramel is that once you've got to the caramel stage of a sugar syrup, it's not at the right stage to pour onto the egg yolks (I was 99% sure it wouldn't work but decided to check anyway - it was a mess). I found that adding a little cold water to the caramel when it reaches the right stage brings it back down to roughly 100-110C. The resulting syrup then works beautifully. I want to see if the same technique works for Italian meringue, too - does caramel meringue sound good? I've been shaping the parfait into a little loaf, which I then serve in tiny slices. It's very rich. I've also added some caramel pieces to boost the flavour and to provide a bit of textural contrast. The caramel pieces liquify a little at the edges and soften - though they still crunch - in the freezer. I have salted the caramel, but only lightly - you could increase it a touch for a more pronounced flavour. Parfait has a different texture to ice cream or gelato or any other creamy frozen dessert I've tried. It's like very cold, smooth mousse, as it doesn't become particularly hard when it freezes and has quite a bit of air incorporated - it's almost foamy (in a good way). 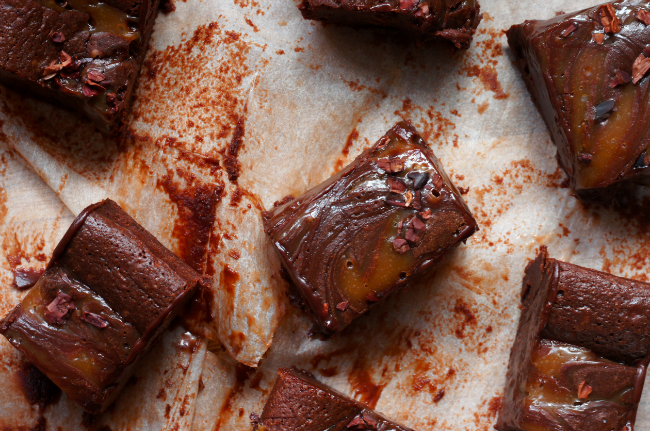 Definitely worth trying, anyway, whether you choose honey or caramel, loaf or lolly. Start with the caramel pieces. 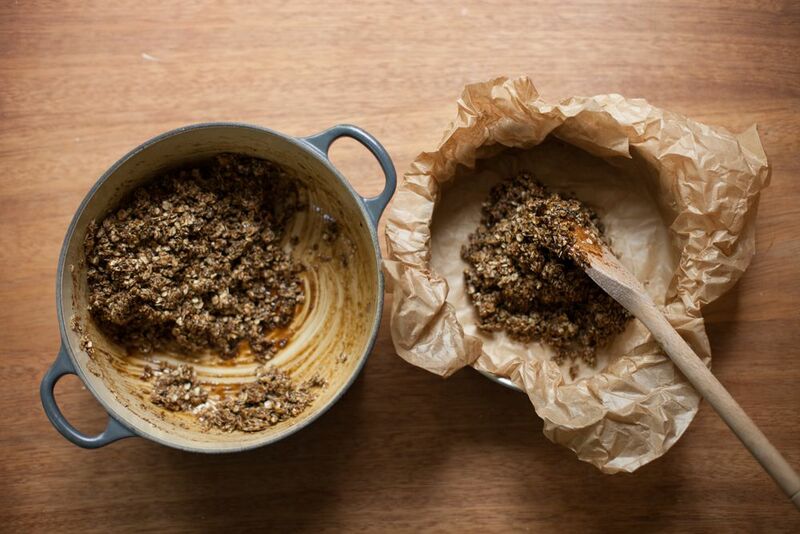 Tear off a bit of baking parchment and place on a worktop near the stove. Spread the sugar (25g) evenly over the bottom of a small pan. 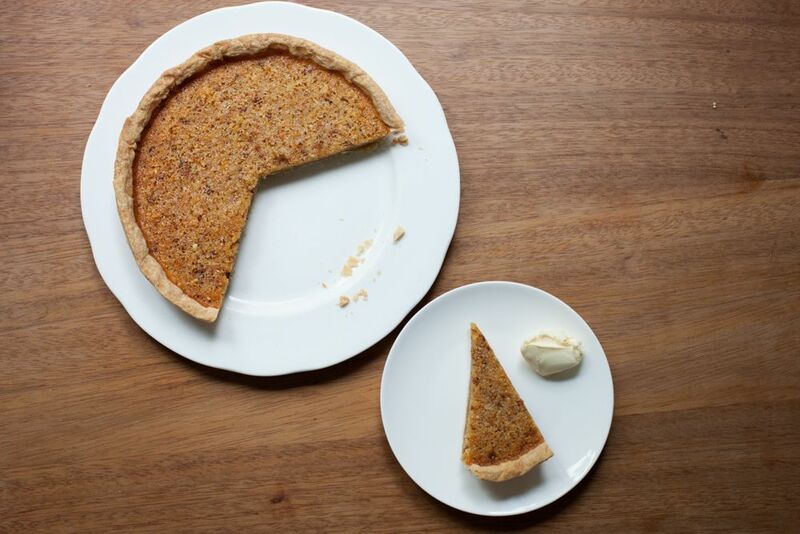 Place over a medium-high heat and watch carefully - after a few minutes, the sugar will start to liquify at the edges. Don't stir it - you can flick some of the crystals onto a liquid bit, but don't fiddle too much. Once it's nearly all melted and starts to caramelise, swirl it all together. Keep heating until you have a clear liquid with a deep golden-bronze colour, then swirl in the salt and quickly pour onto the parchment. Leave to cool. When it has solidified, chop into tiny pieces with a knife (and watch out, it tends to splinter and fly off the board - it can be quite sharp at this point). Line a baby loaf tin or small box (roughly 6" x 3") or another shape (perhaps a small bowl for a bombe shape?) with a big piece of clingfilm. 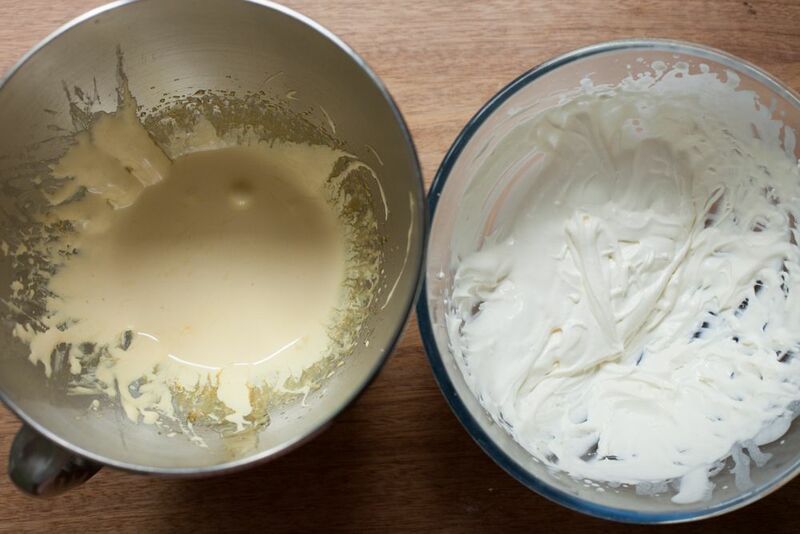 Place the egg yolks into the bowl of a stand mixer with the whisk attached. Combine the water and salt and put them near the stove. Don't bother to wash the caramel pan - just sprinkle in the sugar for the parfait (50g). Make the caramel as before, but when it is ready, turn the heat off and immediately pour in the salty water. It will react quite wildly, steaming and bubbling, but after the first few moments, start stirring and keep going until the mixture is smooth. It should still be bubbling away (if not, or if the pieces aren't dissolving, turn the heat back on for a moment). Turn the mixer with the egg yolks in up to medium high, then carefully pour the hot caramel down the side of the bowl into the whisking yolks (see this video). Turn the mixer up to full speed and leave to whip. 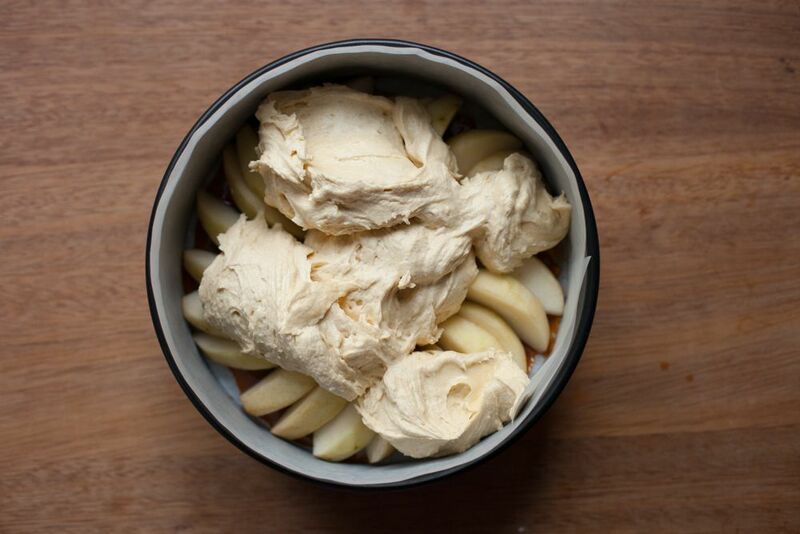 While it whips, start whipping the double cream until it thickens and starts holding shape in very soft peaks - it's important to not overwhip it (see this photo for the way both the cream and caramel mixture look when ready). The caramel mixture should be pale yellow and very thick and when you lift the whisk out the trail should stay on the surface for at least the count of five. Scrape the caramel mixture into the cream bowl and fold in with a big spoon (see this video for technique, though these mixtures are the same consistency). When the mixture is uniform, add the caramel pieces and fold them though. Scrape into the lined mould, level off, pull the clingfilm over the top and put in the freezer. It's best left overnight but will have hopefully firmed up enough after 5-6 hours. A few months ago I was asked by Borough Market to write a guest post for their site. They just managed to slip two recipes past before I wound up any bits of work outside the blog. I met my last deadlines a few days ago and it feels wonderful. Now I can focus on preparing Poires for the year to come, saying goodbye to Oxford and having a bit of a holiday. I've been sitting on this recipe for a few years, partly because I made so much of it in 2012 that I've only just finished the last jar. It's my favourite jam. It's vibrant, slightly tangy and generally gorgeous, especially as part of a cream tea. You can read the post and find the jam recipe here. Collect your equipment before you start. 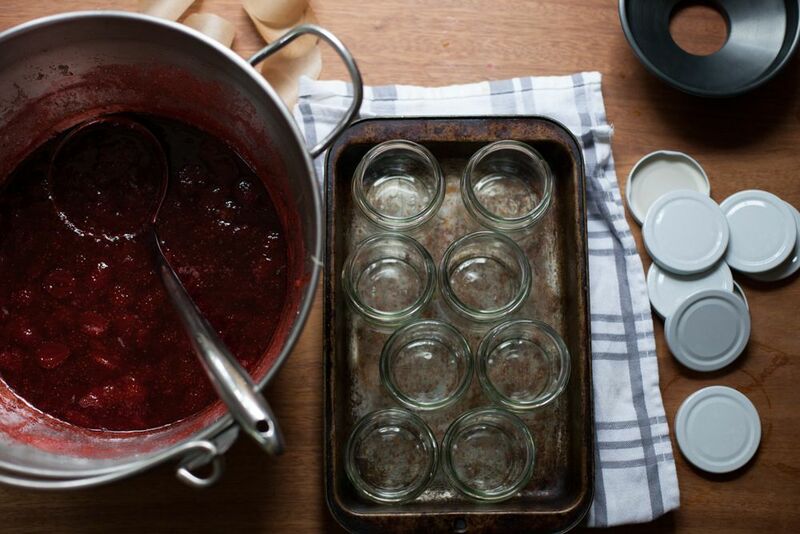 You'll need a big saucepan or jam pan, about 5-8 jam jars depending on size, matching lids and a ladle (and preferably a jam funnel, as it makes life so much easier). Place a saucer in the freezer to test the set with. Sterilise your jars and lids - I put mine through a dishwasher cycle just before I start. 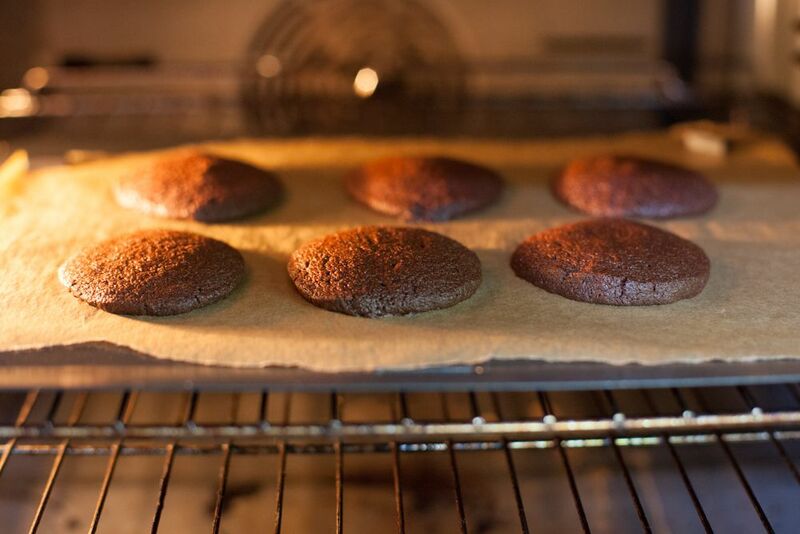 Pop the jars and lids onto a tray (to make them easier to move) and place the tray in an oven set at 100C/210F. Wash the redcurrants, picking through to find any berries that are going off but leaving the stalks. Place a sieve over a mixing bowl. Squash the redcurrants through the sieve in batches, pressing them against the edge of the sieve with a spoon until you just have a seed/skin/stalk paste. You should have 275-300g of redcurrant puree. Pour the puree into the big pan, followed by the raspberries and sugar. Place over a low heat and stir – crushing some of the raspberries against the side with your spoon - until the sugar crystals have dissolved. Turn the heat up to full and bring to the boil. Once it has started to boil and foam up, let it continue for 3-4 minutes, then start testing for the set. To test, dribble a few drops of the jam onto the saucer in the freezer, then leave it in the freezer for roughly 30 seconds to a minute. 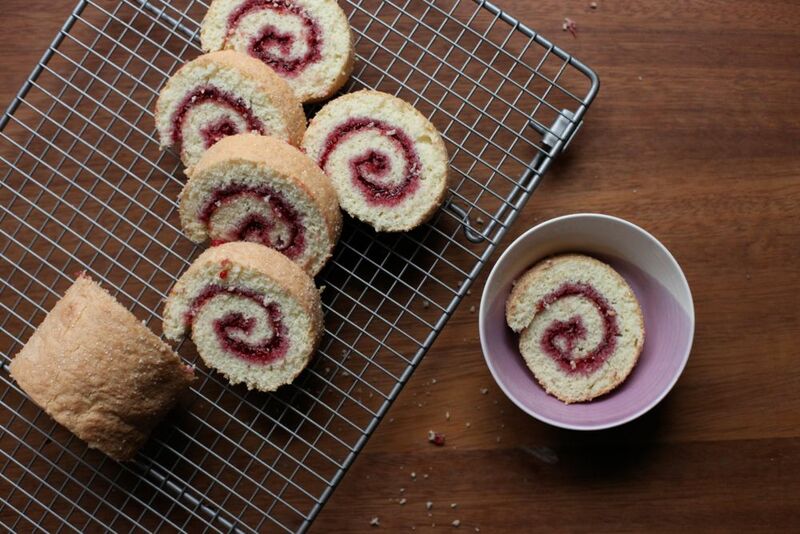 Push your finger through the jam – if it wrinkles in front of your finger, it’s ready. It usually takes a few tests for it to be ready (with it boiling in the gaps as each test cools). When you’re happy, turn the heat off. Skim any remaining foam off the jam then let it sit for 15 minutes (this means that the seeds will be evenly distributed when it sets). While it cools, the top of the jam often just starts to set, causing a massive version of the wrinkle test if you stir it. Take the jars out of the oven a few minutes before the jam has finished sitting and have them ready next to the pan. Ladle the jam carefully – remembering that it is still exceedingly hot - into the jars (using, if possible, a jam funnel). When done, carefully screw the lids on, holding the hot jar firmly with a tea towel. When you’re sure the lid is on tightly, cover with the tea towel and give the jar a quick, small upwards shake so that the jam coats the sides and lid at the top with a seal of jam. Leave to cool on a tray, enjoying the delightful popping noise as the lids contract over the next few hours. 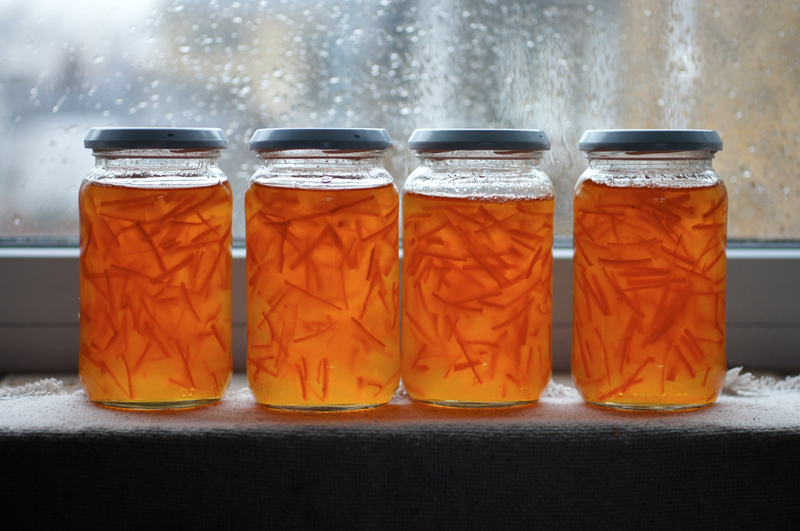 As long as your jars are well sterilised and sealed, jam keeps for years. I’ve just finished the last jar of this jam from my 2012 batch and it was still lovely. I also wrote up my recipe for Victoria Sponge - the jam works brilliantly with whipped cream as the filling (for many of the same reasons that it's perfect for a cream tea). 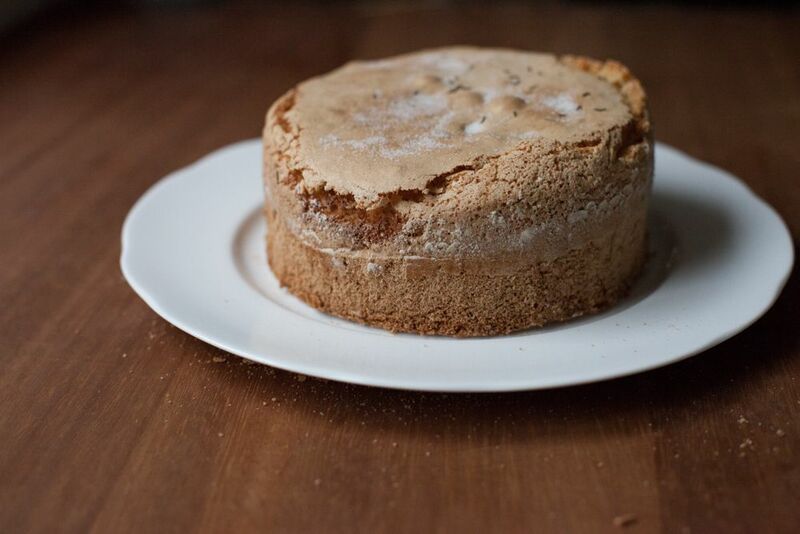 The combination of just-cooled sponge with a crisp sugar-sprinkled top and the jam and cream is sublime. 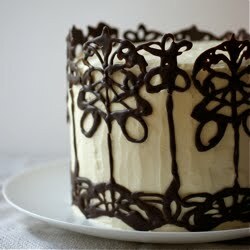 If you need to keep the cake for longer, I suggest serving the cream on the side (whipping it when you need it). Preheat the oven to 170C/340F. Grease and line the bottom of two 7"/18cm round loose-bottomed sandwich tins with baking parchment. Place the room temperature butter into the bowl of a stand mixer (or a mixing bowl if using a handheld electric whisk) and beat for a minute or two until smooth, pale and creamy. Add the sugar and beat for at least 5 minutes on medium-high, scraping down occasionally - the mixture should be fluffy and thick. Whisk the eggs together in a jug to break them up. Sieve the flour and baking powder together into another bowl. Add the egg to the creamed mixture in small splashes, beating on medium-high as you go and making sure each addition is incorporated before adding more. 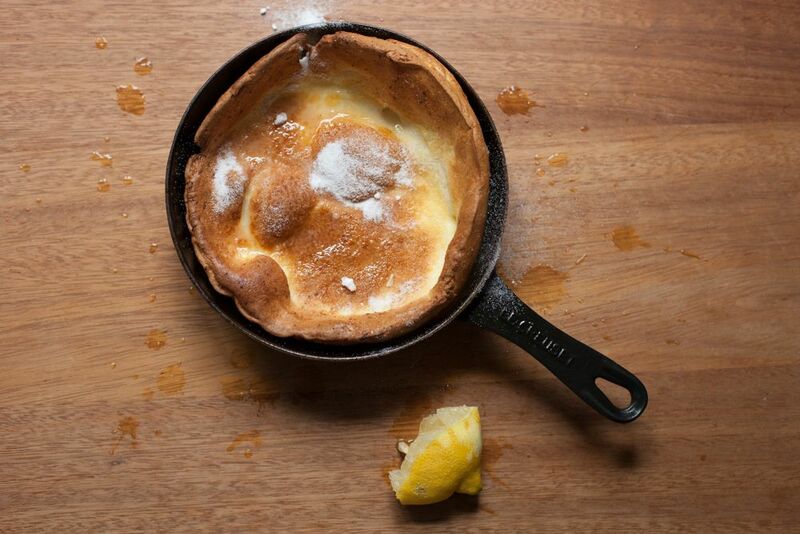 After adding about a third of the egg, add a teaspoon of flour from the bowl and scrape down the sides. Occasionally add another few teaspoons towards the end (this helps stop the mixture curdling, which will give you a flatter cake). When you've added all the egg, sift in the rest of the flour and fold in with a big spoon. When the mixture starts to come together, add the milk and fold until uniform. The mixture should be dropping consistency - if you get a big spoon of it and turn it sideways over the bowl, it should fall off the spoon. Split the mixture between the two tins (each one should be roughly 340-350g). Spread out into an even layer. Transfer to the oven and bake on the middle shelf - don't be tempted to look until at least 15 minutes has passed. 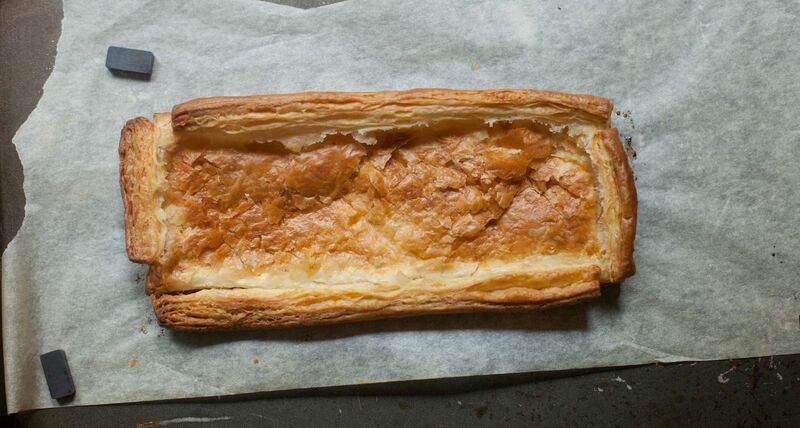 It should be ready after 18-20 minutes and be golden brown, springy to the touch, coming away from the sides and a cake tester/toothpick should be able to be removed cleanly from the middle. Place on a wire rack to cool for 5 minutes. Run a blunt knife around the edge of the tins and carefully remove from the tins to the rack. Leave to cool fully. 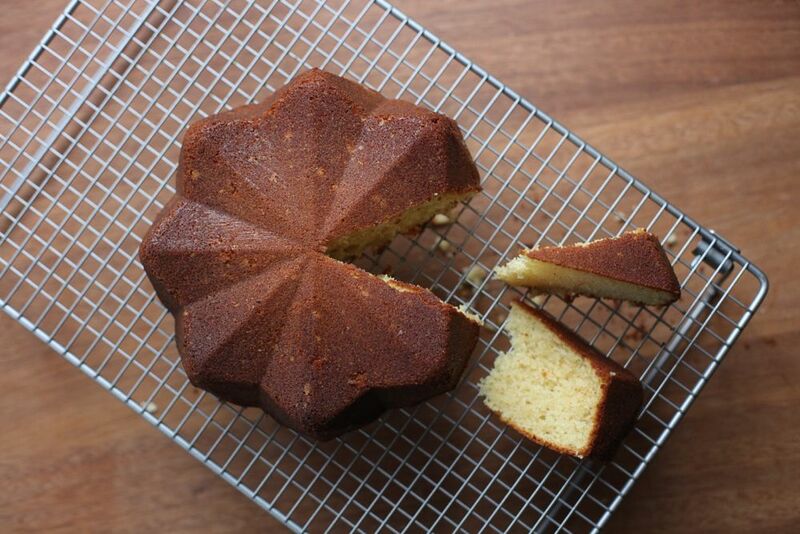 Place one of the cooled cakes onto a serving plate then spread liberally with jam. 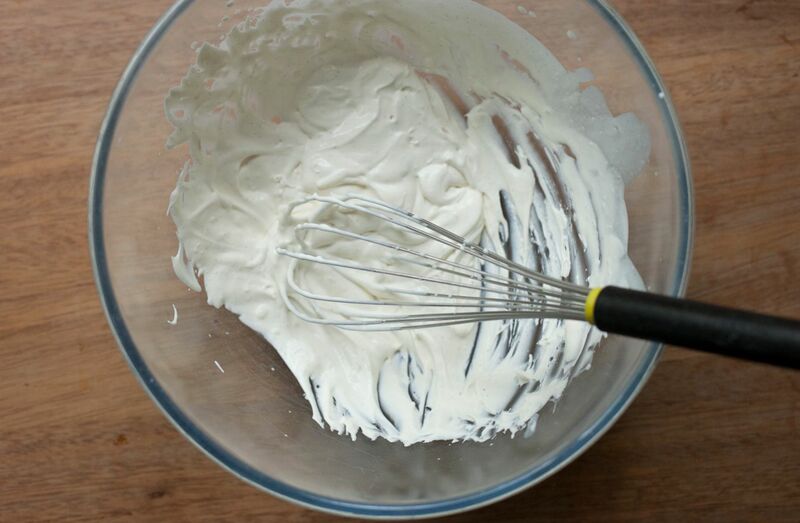 Whip the double cream until it thickens and just starts holding shape – it’s important to not over whip it. Spread the cream over the jam. 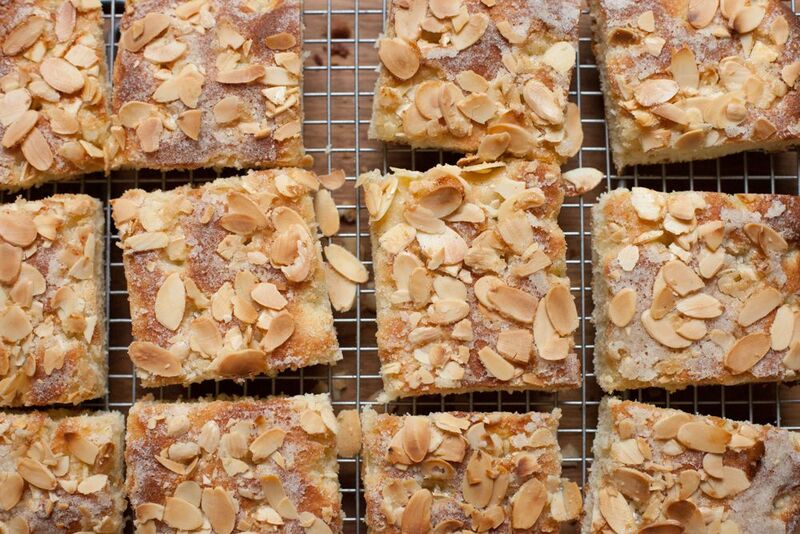 Top with the other cake and sprinkle with a bit of caster sugar. Keeps in an airtight tin for a few days if you just fill with jam, best immediately if you use cream (but you can keep the rest in the fridge for a day or so). I was recently asked to work with the Stella team at The Telegraph to put together a piece on How to Start a Food Blog. It was my first phone interview and I was really nervous about it. In the end it was fun - Rachael, the lady who wrote the piece, is lovely. It's out today and you can read it online. I thought it'd be good to elaborate a bit here and share some of the general blogging statistics from my surveys. 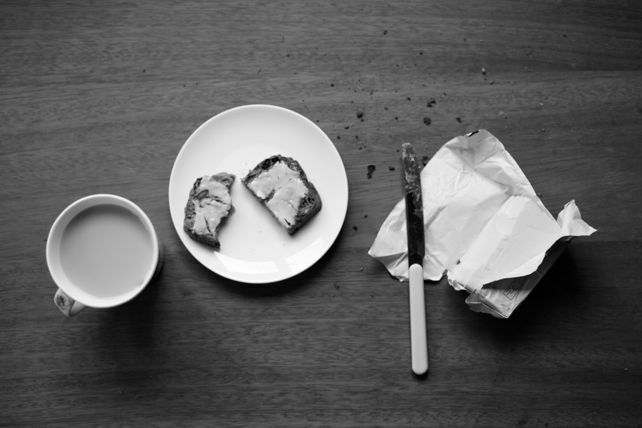 First, it's worth noting again that I don't think there's only one way to blog about food. The best thing about blogging is the freedom. You have no editor - it's just you. I've set up patterns and guidelines for the way I like to run my blog, but they're not universal. For instance, I've found my momentum is easily sustained if I post once a week, but that might not work at all for someone else (and I'm going to need to create a new rhythm soon). I wrote a little bit about my patterns and finding your own in this post. Though there are books and guides and posts out there on how to blog or take photos I'm not sure that I really recommend them, especially when you're first trying out new ideas. Experimenting is fun and leads to variety, and variety is wonderful. I really hope blogs don't become monotonous or start trying too hard to follow one way of doing things. I've said before that I think stopping submitting my photos to sites like tastespotting and foodgawker in 2011 was the best thing I ever did for my blog. It freed me to find a style I liked, rather than trying to create the one I thought they liked. It made me stop valuing my work on whether it was accepted or not and let me be happy as long as I was content with what I'd done. In the piece it mentions a bit about recipe attribution. It's worth learning about and involves the only exceptions to the 'no rules' idea - I always recommend this article by David Lebovitz. As I understand it, the way in which the method is worded is the copyright part of a recipe (under literary expression, like a novel). This means that you should always re-write recipes into your own words, which I think is a great thing - it's a little glimpse into how you do things. You should also give clear credit to any recipes that you have adapted or have inspired you. It's important to show respect for the work that other people have put into a recipe. As an example, my working method if I'm beginning with an existing recipe rather than starting from scratch or working with ratios is to read the recipe throughly first to make sure I understand all the steps, then write the ingredients and method into my kitchen notebook in the shorthand I use (things like c b/s, sift fl/bp/se/cin and so on). Every time I test the recipe I add notes and details and record any changes. When I come to write it up, I only use my notes, expanding and clarifying as much as I can. If you're just beginning to play with recipes, I think it's easiest to begin with a recipe from a book or another trusted source. Adapting is a great way to learn how things work. Even posting some notes and a picture of what your dish looked like when you've followed a recipe exactly adds a new record of how the recipe works. To me, that's what I want a post to do - to add something of value. It could be a recipe developed from scratch, some notes on a recipe that's already out there, a story that references the recipe or some thoughts on a technique. If you re-write and give full and clear credit to the original recipe, I don't think adapting is a lesser way of doing things. In many ways blogging about recipes is curating a collection, and as a reader, I'd like to know about all the recipes you adore, not just the ones that you've created yourself. Two last things: First, I really recommend reaching out to other bloggers, joining social media and making friends in the community (it makes such a difference) and second, unless you want to be anonymous, put a bit about yourself on an about me page (a first name, photo and country is good) - it gives a reader someone to connect with and is certainly the first thing I click on when I visit a new-to-me blog. 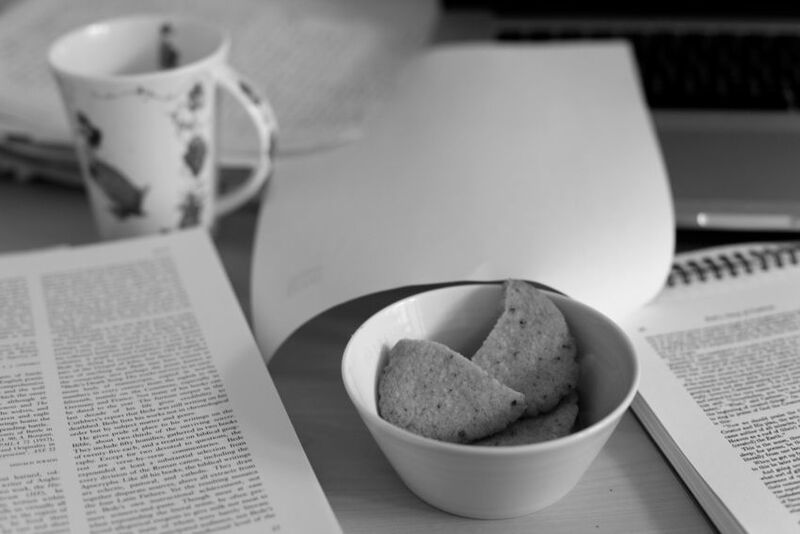 Blogging is subjective, and that's what makes it interesting. It's a glimpse into other kitchens and other lives, created by the freedom to write what you want. It allows me to choose my recipes based on my cravings and only to post something if I really love it. I hope that's what comes through - I love doing this. I thought this would be a good time to give you some of the survey data from the past two years. Obviously the survey is self-selecting and represents a relatively small selection of my readers (and therefore an infinitesimal selection of blog readers in general) but I think people are generally quite honest on a anonymous survey (I know I am). The 2013 survey had 762 replies. What part of a blog is most important to you? 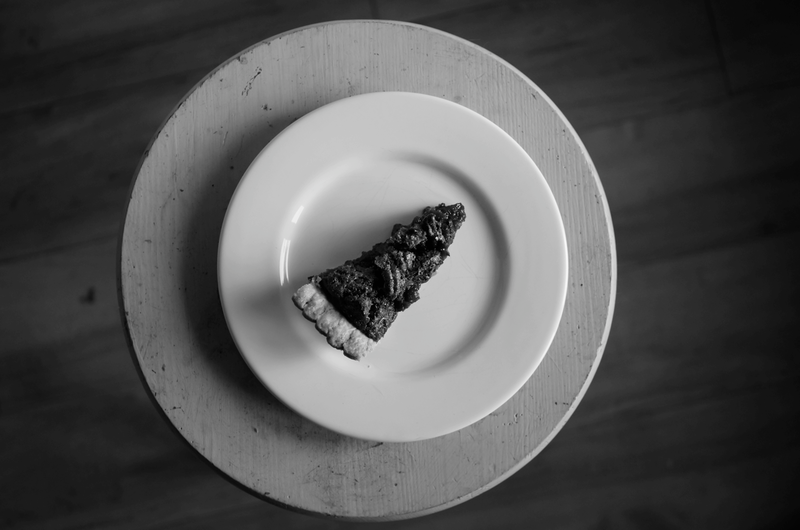 24% selected recipes, 6% writing, 5% photography, 63% said a blog needs all three and 2% said other (specifying things like a sense of connection with the author or a combination of recipes + photography). Do you read all of the writing in a blog post? 35% said yes, 47% said most of the time, 16% occasionally and 2% never. When asked to select as many as they liked from a list of my post types, only 26% picked posts that were just about the recipe itself - the top four were personal stories (72%), the science behind the recipe (62%), more detail on the technique (61%) and the history of the recipe (59%). Do you appreciate a regular posting schedule (i.e. every Thursday)? 35% liked it, 39% didn't mind, 25% hadn't noticed and 1% didn't like it. 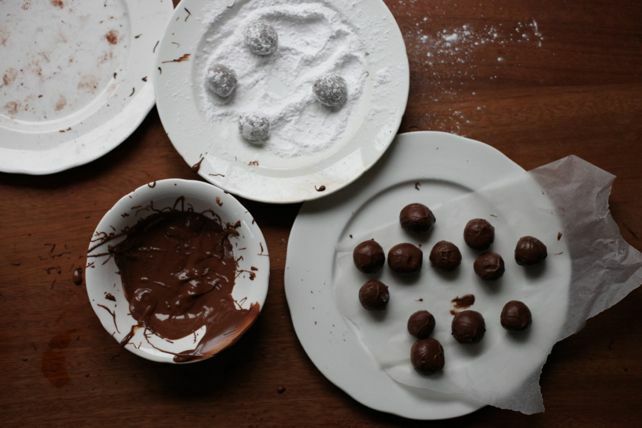 Have you made a Poires au Chocolat recipe? 66% had made a recipe. If so, how many? 19% had made one, 24% two, 40% three to five, 13% six to ten and 4% more than ten. The 2014 survey had 412 replies. 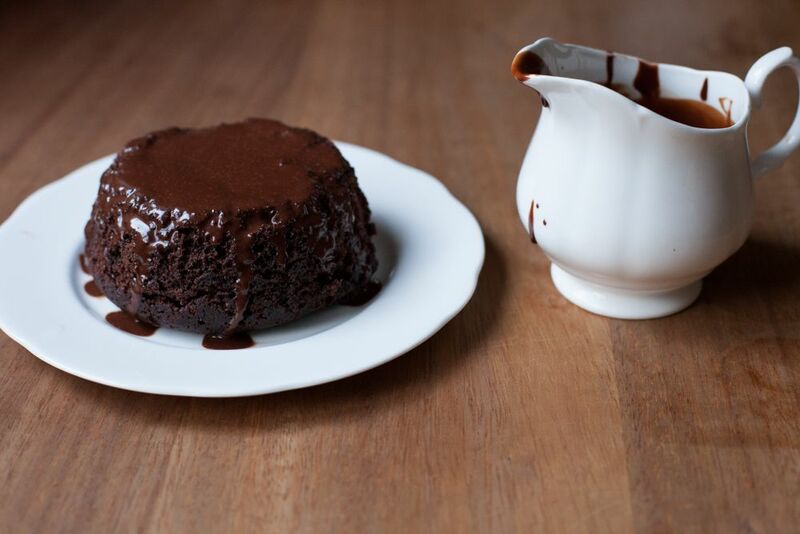 How many recipes have you tried from Poires au Chocolat? 81% had made a recipe: 13% one, 17% two, 16% three, 12% four, 10% five, 3% six, 2% seven, 1% eight, 0.2% nine and 8% more than ten. Of those that had tried a recipe 98% found it easy to follow (comments for the 2% were mainly about the recipes being in metric not US cups). Do you make recipes from other blogs? 40% regularly, 47% occasionally, 11% rarely and 2% never. Do you comment on blog posts to say you've made a recipe? 2% always, 5% often, 17% sometimes, 30% rarely and 46% never. I think the last two stats from the 2014 are particularly useful - I'd guessed that there was a big gulf between the number of people making recipes and the number of people telling bloggers they'd made them, but it was even more pronounced than I'd thought. I also found the position of recipes above writing and photography in the 'most important part' question in 2013 interesting (though, of course, the majority wanted all three). The most exciting thing in both years, though, was definitely to hear about so many of the respondents making recipes. As I half-mentioned a few paragraphs ago, the rhythm is going to slow a little around here as I move to Cambridge and start medical school in September. I have every intention of keeping posting regularly - I can't imagine life without blogging after all this time. I'm planning to start with a post every fortnight and see how that goes. I'd love to up the frequency again but I also want to have plenty of time to focus on my degree and making new friends as well as seeing my friends and family. It's going to be a bit of an experiment and I hope you'll be ok with that. To illustrate this post I've put pictures from some of the recipes from over the years that I particularly fancy today (though some aren't exactly seasonal) - links below. One of the only problems with blogging and always moving forward is often not having the time to go back to old recipes. Top-bottom: whole vanilla bean biscuits, two ingredient chocolate mousse, apple and quince pie, chocolate cardamon cookies, seed cake, coffee and walnut cake, treacle flapjacks and apple and blackberry crumble.